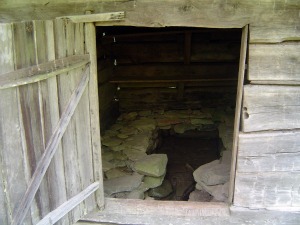 Hike Back in Time in the Smokies! 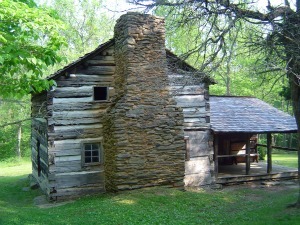 History hikes offer the chance to walk back in time and imagine what life was like in the Smoky Mountains in the 1800s. 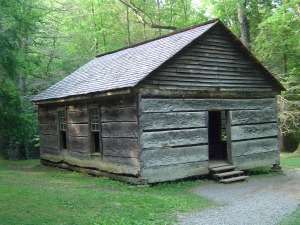 With over 100 historic buildings, there is much culture to experience in the Great Smoky Mountains National Park. While many historic structures are easily accessible by car, hiking to history makes the experience even better! Before the Smokies became a national park, it was a farming community. Many cabins, churches, and barns, as well as other buildings are still standing. Hopefully, seeing them will give you an appreciation for all the conveniences we have today. One of my favorite history hikes is Metcalf Bottoms/Little Brier Gap on the Cades Cove side of the Smokies. Start from the Metcalf Bottoms Picnic Area. You'll cross a bridge. The Metcalf Bottoms Trail starts on your right, past the gate. You'll see a sign telling you it's 0.6 miles to Little Greenbrier School. Hiking this trail in May, I was greeted by mountain laurel. The rhododendrons were not in bloom yet. 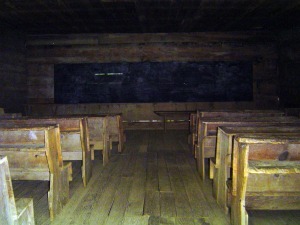 When you get to the school, take a look inside. While all you'll see are a chalkboard and desks, imagine the room filled with children of all ages. Little Greenbrier School was built in 1882 and was open for 50 years. Continuing up the road from the school is the Little Brier Gap Trail. It also starts by a gate. From here, it's 1.1 miles on a gravel road to the Walker Sisters' Cabin. After hiking about 0.75 miles, you'll reach an intersection. Stay to the right to get to the cabin. The first structure you'll see when you get close to the homesite is a springhouse. Think of it as an old-fashioned refrigerator. Foods like milk and eggs were stored here. The house is to the right. Look carefully and you'll see it's 2 houses right next to each other. 5 single sisters lived out their lives here. There is also a corn crib/gear shack on the homestead. Approximate Elevation: Starts at 1700' at picnic area. Trail ascends to 1800' at Little Greenbrier School and ascends further to 2000' at Walker Sisters' Home. How to get to the trail: Metcalf Bottoms Picnic Area is located between the Townsend entrance and Elkmont on Little River Rd. Cades Cove Loop, History Abounds in a Peaceful Valley!